Cat Grass or Couch Grass is native to North America, tropical Africa and Australia. Cat Grass is a perennial, creeping or erect mat-forming grass with smooth, hollow stems that produces green flowers in summer. It will grow on a wide range of soils - from sandy to heavy clay soils. To enhance new growth it can regularly be pruned to the ground - will do well in pots. The whole plant - foliage and roots. 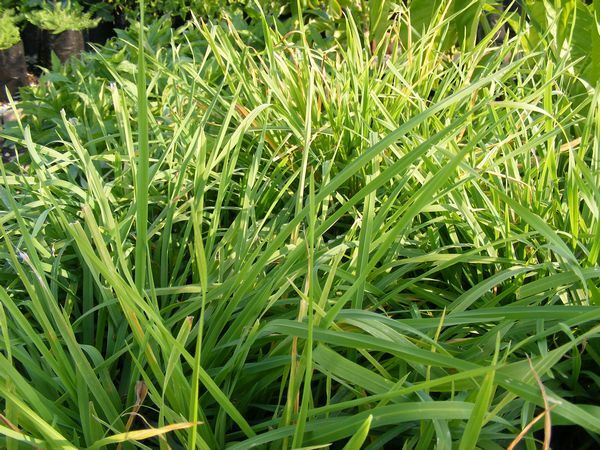 Cat grass or Couch grass has been used in herbal medicine since the Classical Greek period. Medicine for domestic cats and dogs - they will dig up and eat the roots. The roots are aperient, demulcent, diuretic, emollient, tonic and a worm expellant. Spring tonic and blood purifier. The foliage is an important forage grass for many grazing animals.